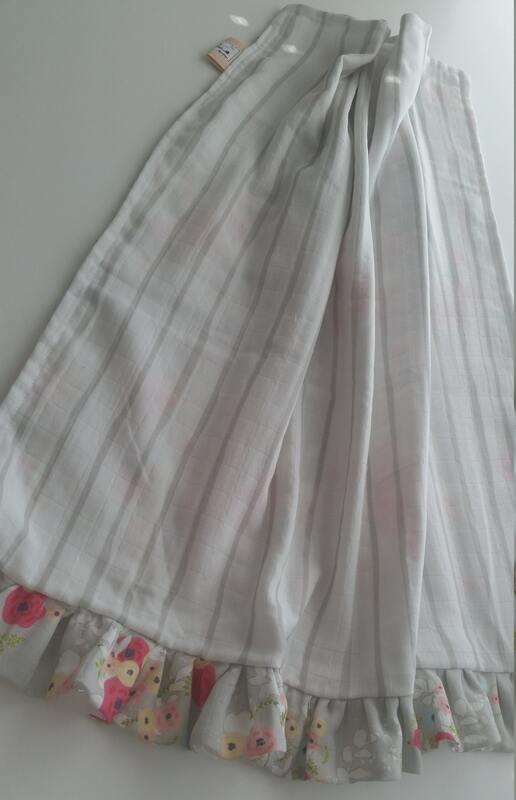 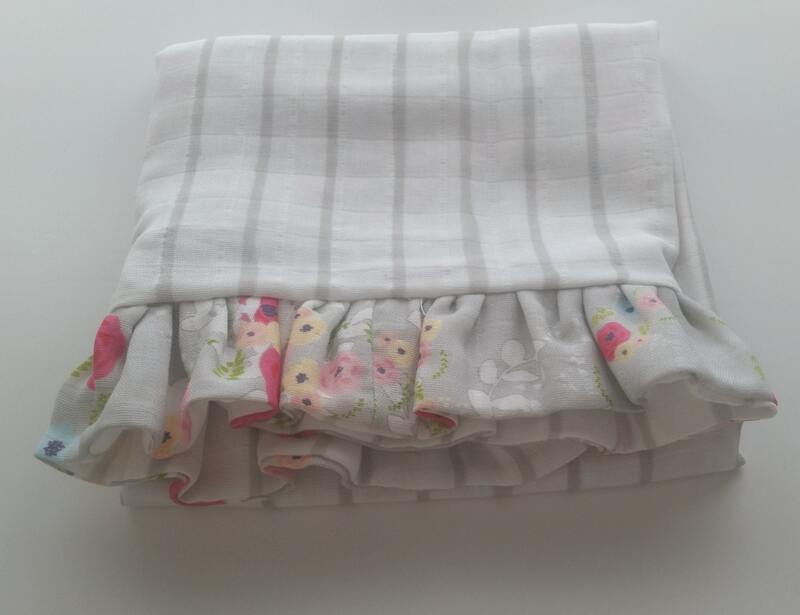 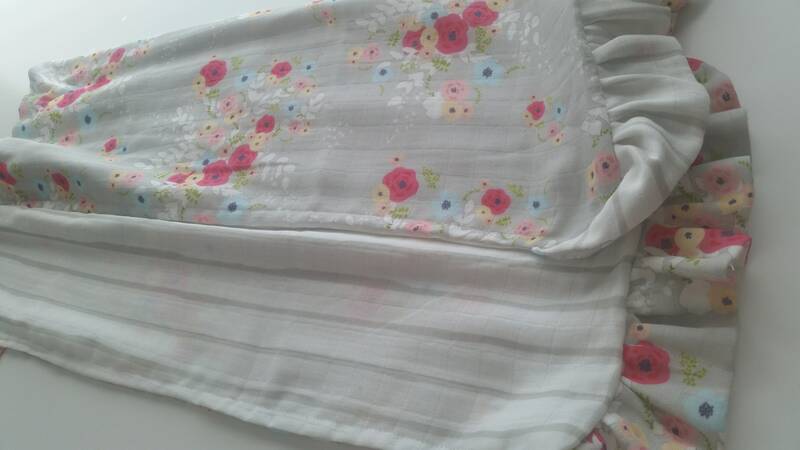 Beautiful lightweight 2 layer DOUBLE gauze (4 layers of gauze altogether) ruffle blanket. 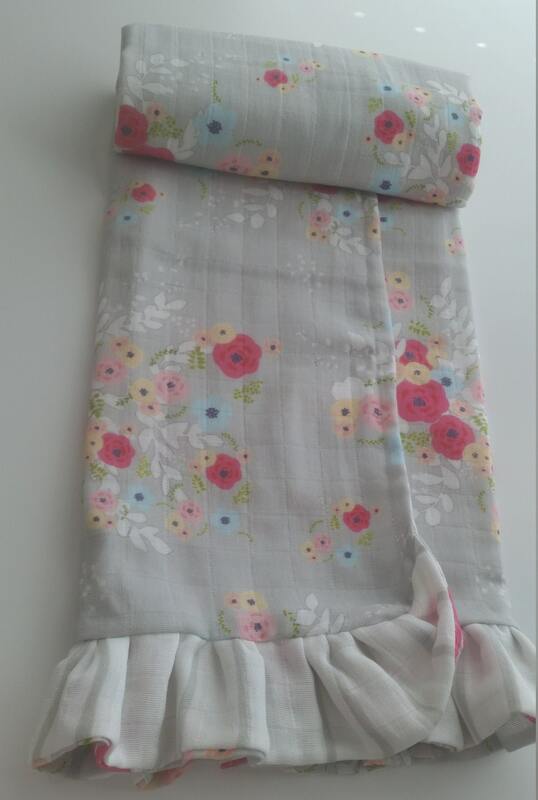 * Perfect for tiny hands. 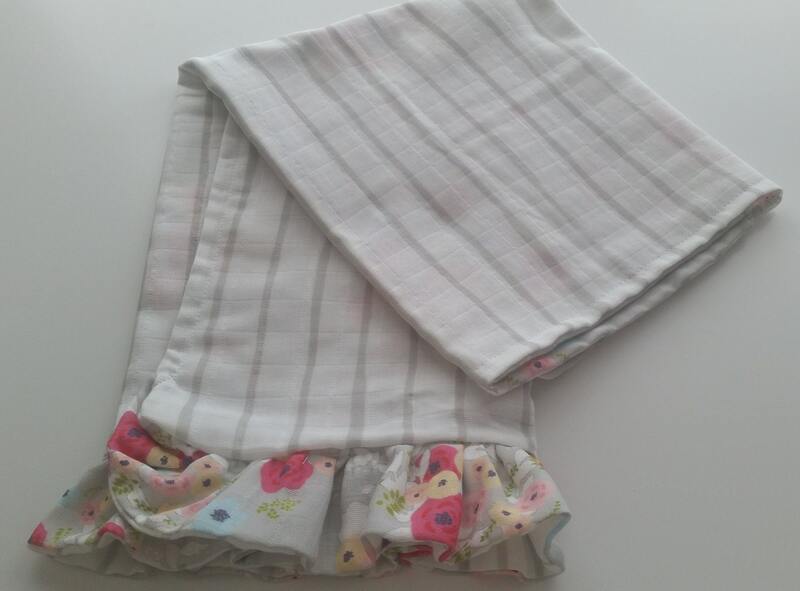 * Helps babies learn to self-soothe, providing the comfort factor of a security blanket. 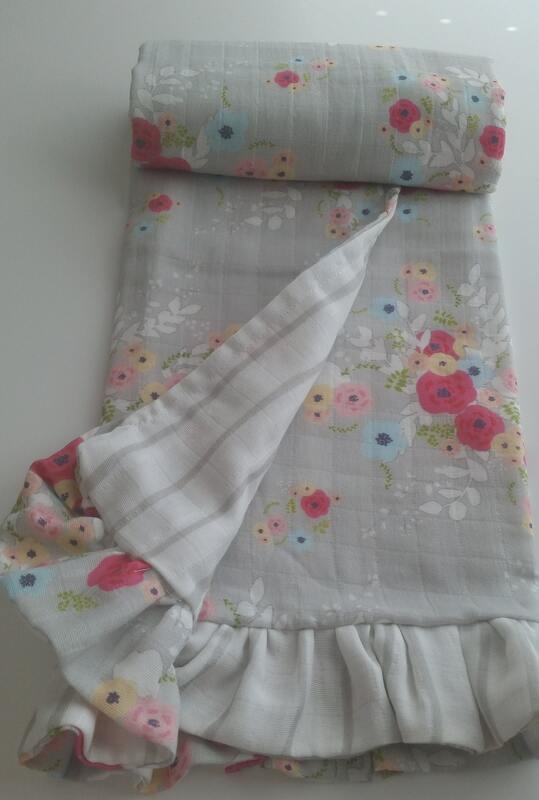 These light & airy muslin gauze blankets make the most darling baby shower - new baby coming home gift ever! 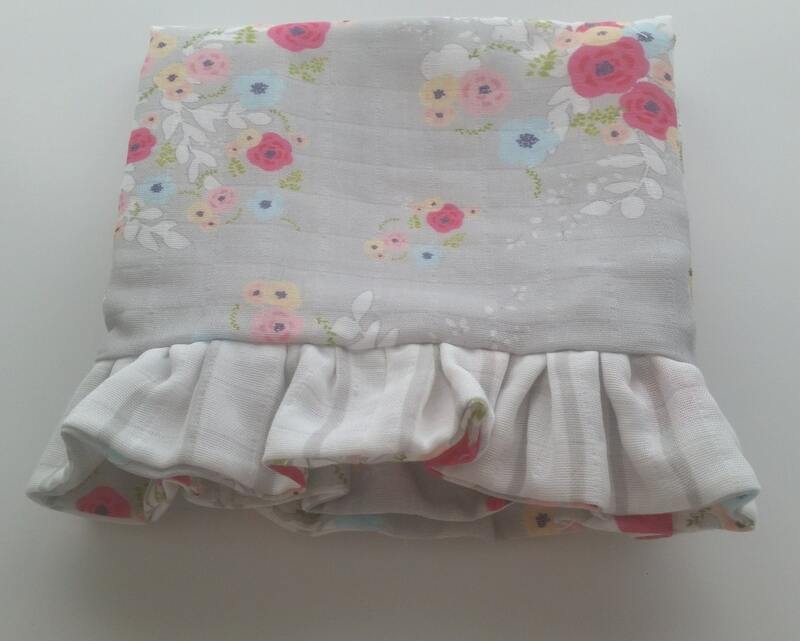 Gorgeous gift for Baptism & Christening. 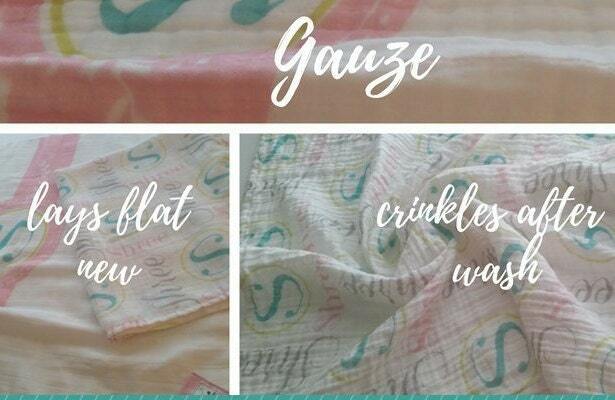 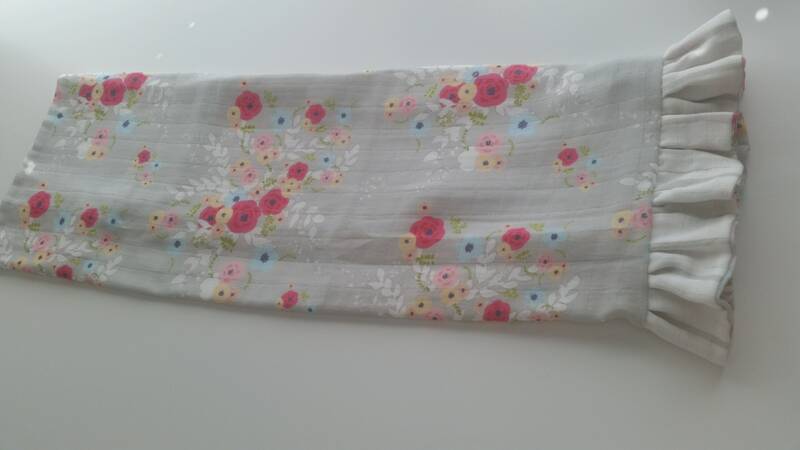 * double layer gauze - fabric is two layers of gauze tacked together with undetectable stitches. 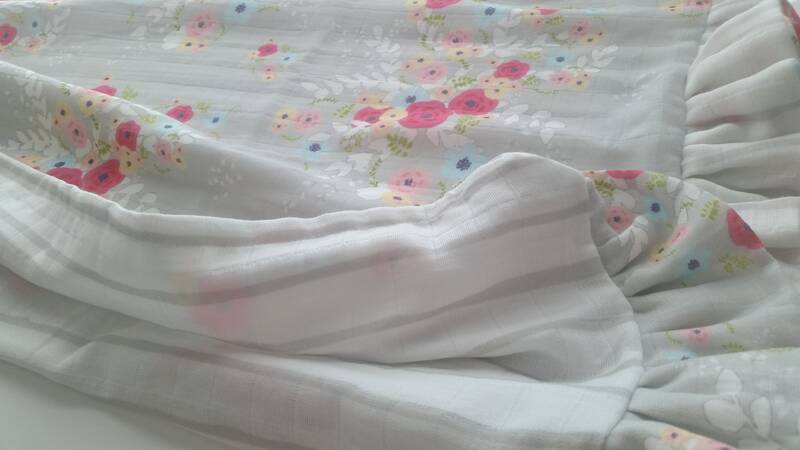 Email if you would like this blanket in another fabric pattern - I'll let you know if available in the Organic Sweet Pea Gauze.